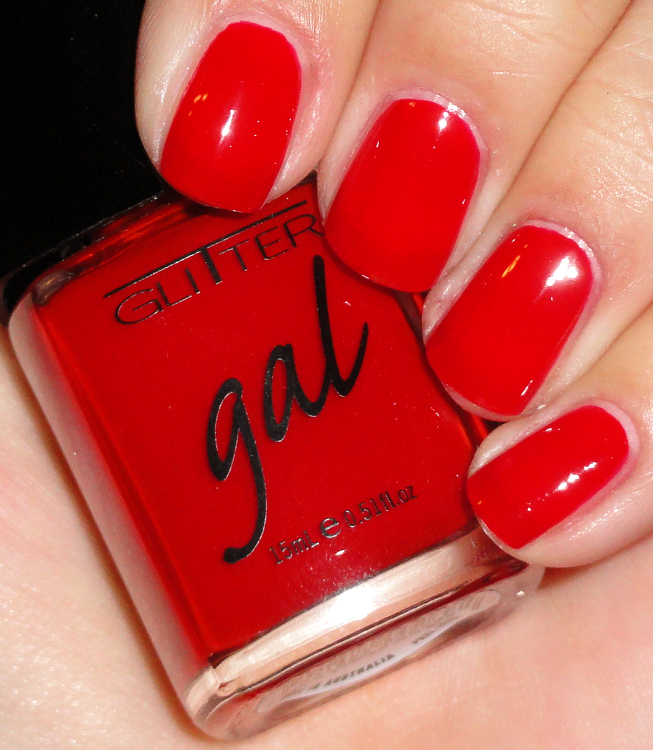 I have come to really adore the ladies over at Glitter Gal, a cosmetics company in Australia. They are great people and fab businesswomen! 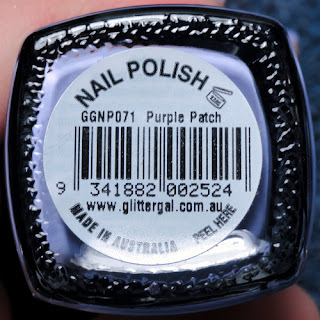 Recently they collaborated with an Australian shoe company called Wanted Shoes and came up with six custom nail polish shades to complement this season’s collection. One side of the bottle has Glitter Gal's logo and the other side has Wanted Shoes'. I was sent a few bottles to review and have to report that these are great colors and what a fun idea! 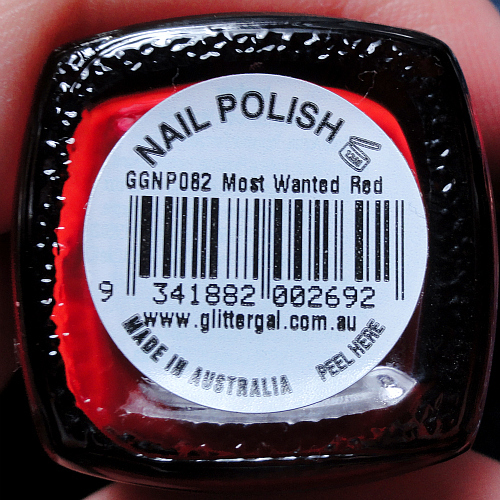 First, Most Wanted Red is a jelly crème polish in scarlet that glides on like a total dream. It is perfectly named as well, not too orange, not too blue toned, so of course it would be "most wanted" along with tying in perfectly with Wanted Shoes' name :) This is two coats. 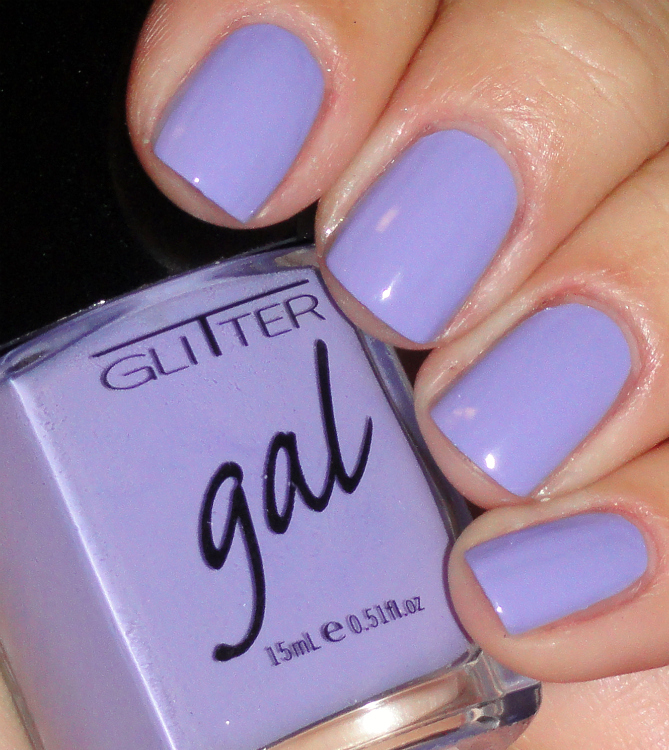 Purple Patch is a darling shade of easter lavender, a crème polish that is perfect for starting out the spring. I bubbled a bit on this one but I was having basecoat issues that day :P This is also two coats. I will be happy to report that Glitter Gal is running full steam ahead for the new year and is working on launching in the US! I know shipping costs make us stateside ladies cringe a little and hopefully sooner than later we won't have to worry about it anymore. Good luck to Glitter Gal and Wanted Shoes, this is a great collection!